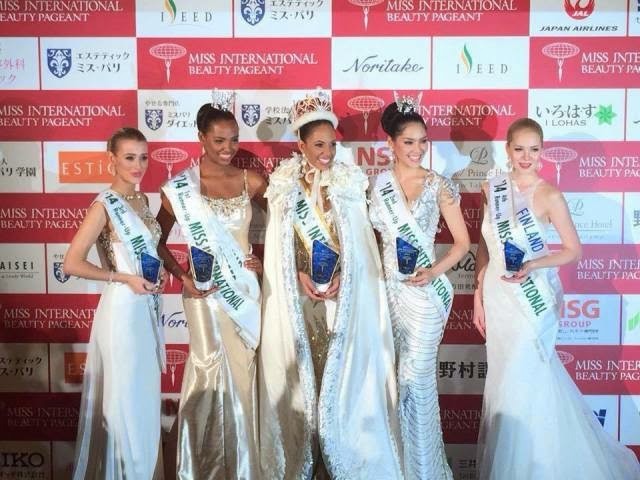 Miss Puerto Rico Valerie Hernandez Matias was crowned Miss International 2014 in a parade of beauty and wit held at Grand Prince Hotel in Takanawa, Japan on November 11, 2014 at 5pm (4pm in the Philippines). This is Puerto Rico's second win in the pageant's history. Miss International 2013 Bea Rose Santiago (Philippines) crowned her successor. Miss Philippines Marianne Bianca Guidotti was not lucky enough to make the cut.